Entries begin from Friday, Aug. 2nd for STAGE6 of THE WORLD 2013!! Venue will be Las Vegas, 2nd time since last year! Please note that entries will be closed without any prior notice when the limit of 256 players is registered. 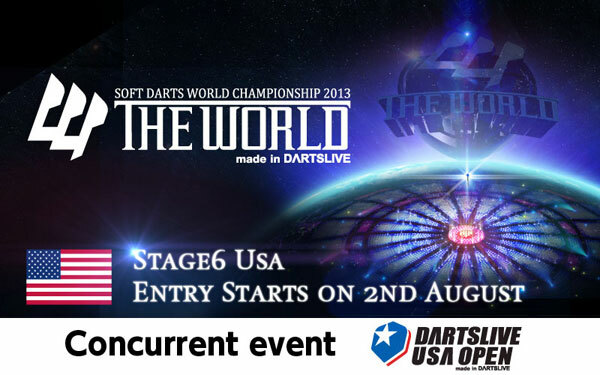 Entry also starts from August 2nd, for concurrent event, DARTSLIVE USA OPEN 2013! >>Click here for DARTSLIVE USA OPEN 2013 entry!